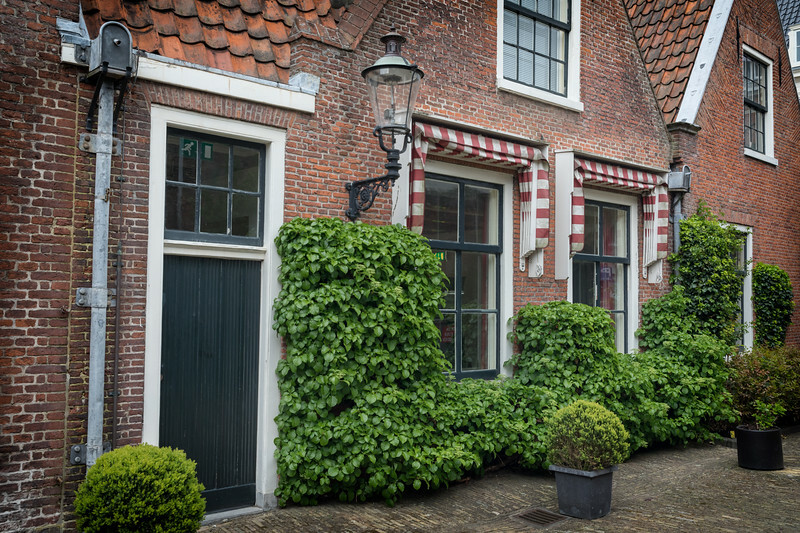 While wandering around Haarlem, I noticed an open gate with lush plants and small stones lining the street. These buildings are part of Janskerk, a church complex that was completed in 1318. It was a cloister church of the Order of St. John. Like many Catholic buildings in Haarlem, it fell to the city and became Protestant after the Reformation in 1587. A local resident I met encouraged me to go inside. A rich heritage surrounds this church including the flying cannonballs embedded into the southern wall from the siege of Haarlem (1527-1573). The church was renovated around 1936 and modernized in 2007.